This means there are really great conditions from the north to south of the region, right in time for the second week of Sweden’s current winter holiday period. During the last week ski resorts further up north have had some serious amounts of snow fall as well. The small resort of Nalovardo got the most with 33cm (13 inches) followed by Branäs 27cm (11 inches), Tandådalen 17cm (7 inches) and Åre 10cm (4 inches). The forecast for the rest of the week looks really promising, especially in the north. 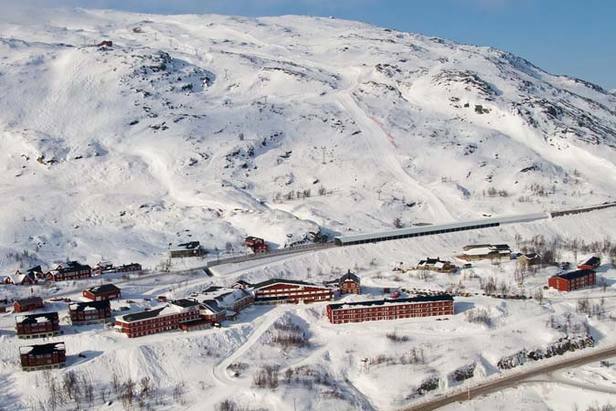 Riksgränsen, which recently re-opened for its 2010 ski season through to June up in the Arctic Circle is expecting massive snow falls starting on Thursday. In Scotland the weather service recently confirmed it has been the coldest winter since 1962-3, nearly 50 years ago. Still more heavy snow has left all five centres fully open, with Cairngorm needing to blast terrain above the ski area for the first time to minimise avalanche danger.